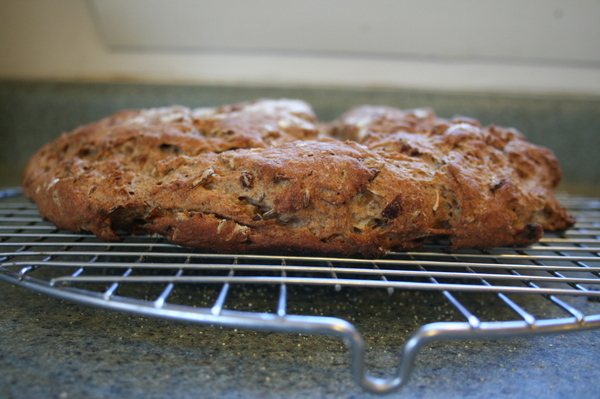 I made this rye bread last month - right after the whole Corned Beef Project had been completed. (If you want to read about the entire project, go over on the right and scroll down until you find that heading. It was about a week and a half long project that I plan to repeat again next year.) Anyway - I figured I'd make a loaf of rye so I could make a Reuben sandwich for my husband with some of the leftover corned beef. We had sauerkraut in the freezer, I had cheese, we clearly had the corned beef, and I could whip up a Thousand Island Dressing easily enough. All that was needed was the rye. And I figured rather than just go buy a loaf somewhere, I should (not could, but should) make it myself. I found a recipe in one of my bread books, I prepped all my ingredients, I took pictures all along the way as I made the bread...it smelled amazing baking in the oven. And it came out flat. Flat like an onion and rye loaf of focaccia. Not exactly the way it should have come out. 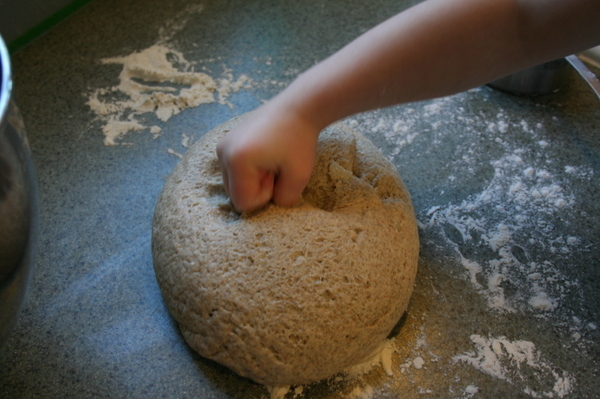 And so I was rather irritated with myself because I know I can successfully make a loaf of bread. So what did I do wrong? Once I sliced into it, I saw the problem - there was very little lift inside. It would have been easy to say "well, that's because it was so heavy. The onion mixture weighed it down." Except that I couldn't blame the onions. Really, it was probably because I didn't knead it long enough. Scratch that. No "probably" about it. I rushed one of the most important parts of the bread making process. And that's why my bread baked off the way it did. So, lesson learned. 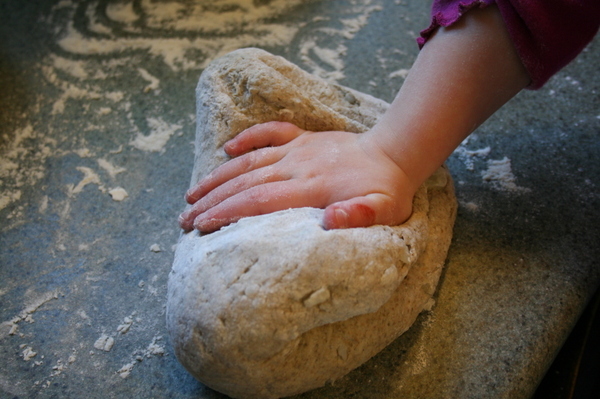 Don't rush the kneading. Duh. I know better. But sometimes we all need reminders, don't we? At least I do. And that's the lesson in this post. 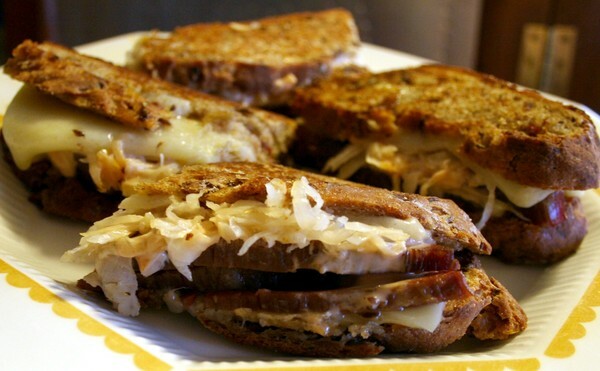 But on the good side, the bread tasted fabulous, and I made an awesome, albiet skinny, Reuben for my husband, which he couldn't finish, so I had some, and yeah, it tasted really good. 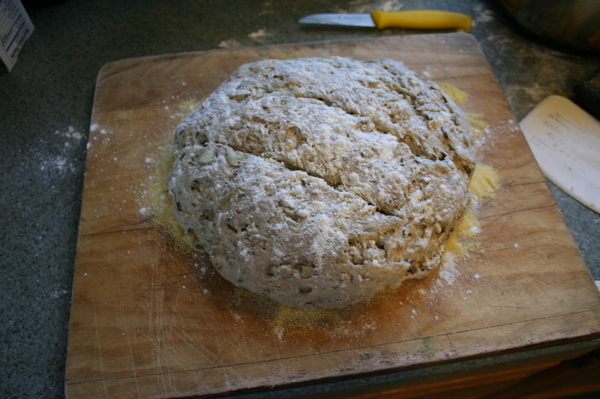 Here's the recipe, and pictures, and you can see, at the end, how the bread came out, because I didn't let the gluten develop enough, which meant there wasn't enough structure to support the bread as the yeast did its work to make the dough rise. Sort of a house of twigs, rather than bricks. The book I used is Secrets of a Jewish Baker by George Greenstein. One of the cool features of this book is Chapter Ten - "Twelve Menus: A Morning of Baking." 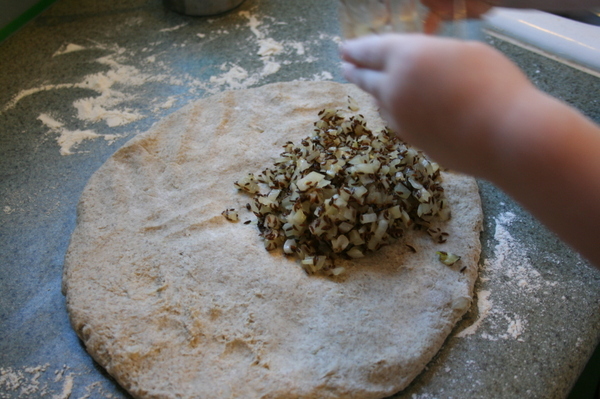 Each menu includes about 4-5 different bread recipes, sometimes all yeasted, sometimes a mix of yeasted and quick. Each menu or program takes somewhere between 2-5 hours to complete, depending on the kinds of breads made. 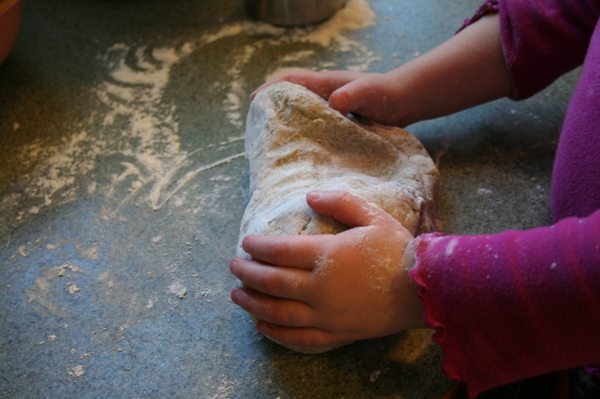 The programs are all lessons in time management as well - ordinarily when we make bread, we make a loaf or two of A bread. Or a batch of muffins or a quick bread. But in the same time frame we might use for that one recipe, instead, if we prep well and pay attention to what we're doing, we can produce multiple loaves. Pretty impressive, no? Anyway. I didn't do a whole morning of baking menu. 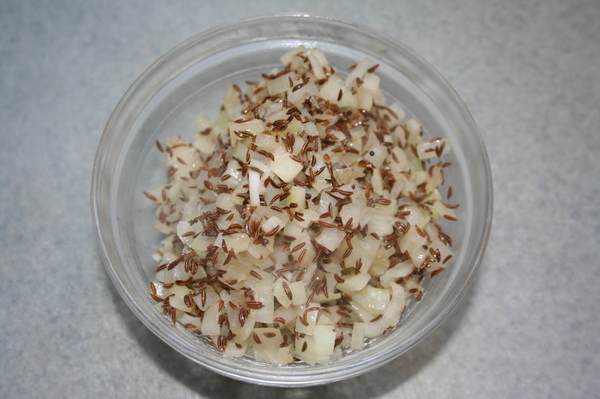 I just used the recipe for "Potato Rye Bread with Onion and Caraway." Why this one? For one thing, it didn't involve making a sour starter, which I would have had to do the day before. I wanted the bread for that evening. This bread is something you make in one day. Also - I had potatoes and onions because I'd bought more than enough for the Corned Beef and Vegetable dinner. 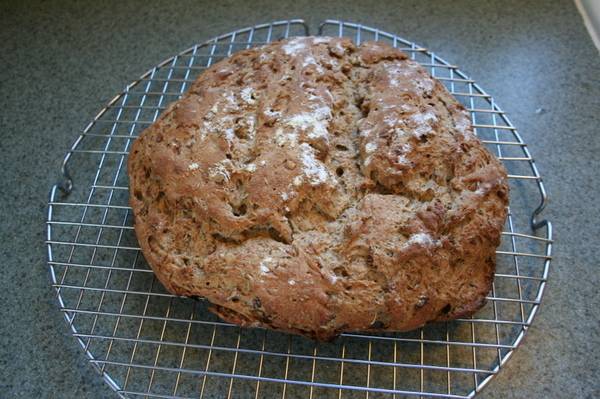 And I had Caraway seeds because of the Irish Whiskey Soda Bread I'd made for that same meal. So I was all set. 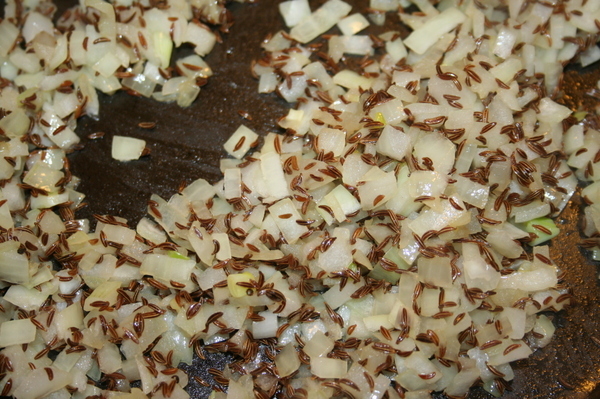 In a small skillet over medium-low heat, saute the onion, caraway seeds, and the pinch of salt in the oil just long enough to soften the onion. 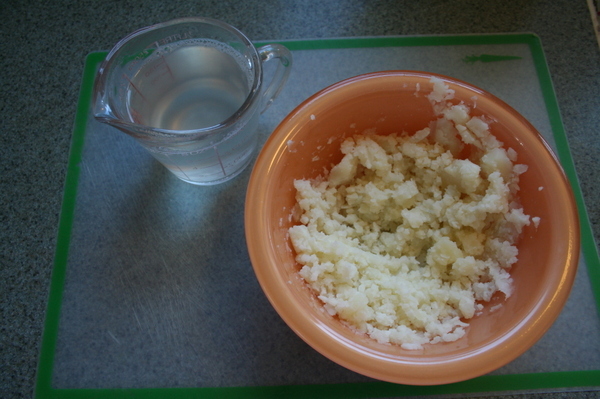 In a large bowl dissolve the yeast in the warm water. 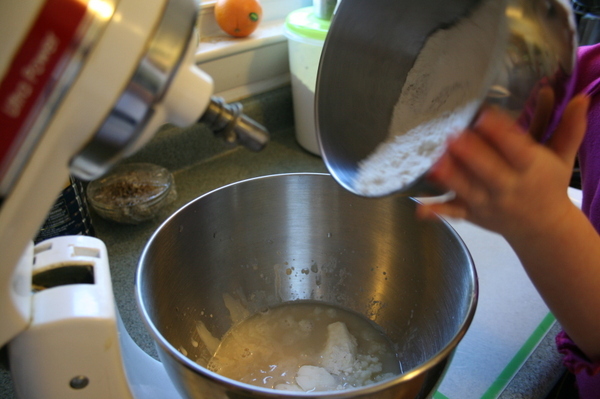 Add the mashed potato, sugar, shortening, milk powder (if used), flours, and the 1 1/2 tsp salt. 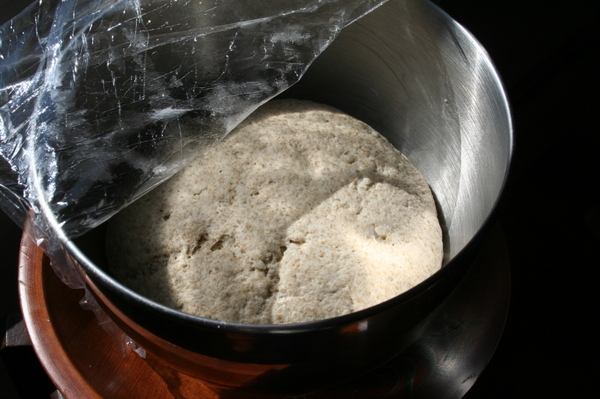 Stir with a wooden spoon until the dough comes away from the sides of the bowl. 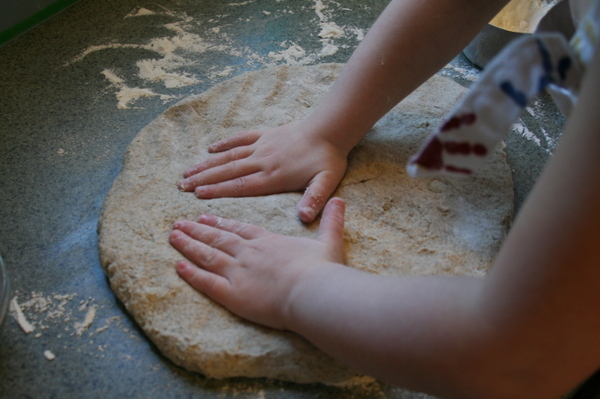 Turn out the dough onto a floured work surface and knead. 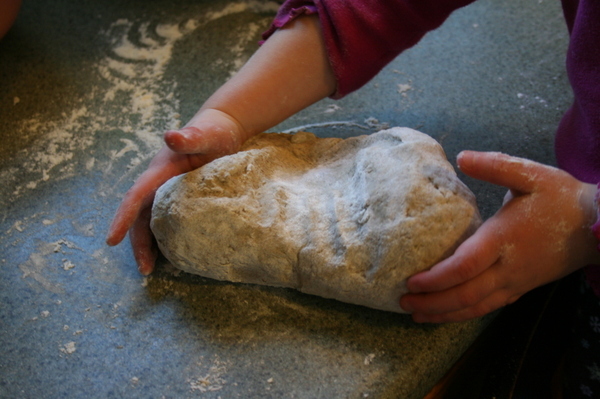 If the dough is moist and sticky, add more all-purpose flour 1/4 cup at a time. 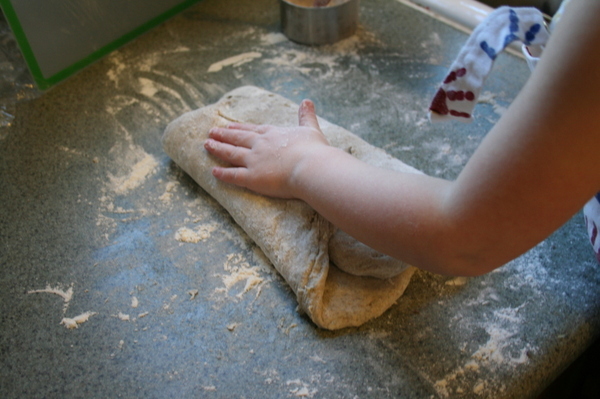 Knead until elastic (5 to 8 minutes). 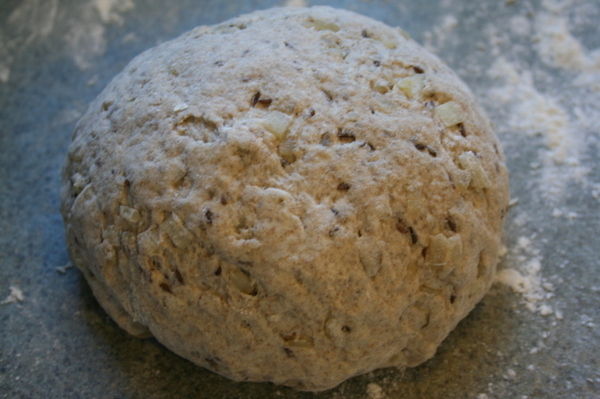 The dough will be softer than usual because of the rye flour, and it will tend to feel sticky. 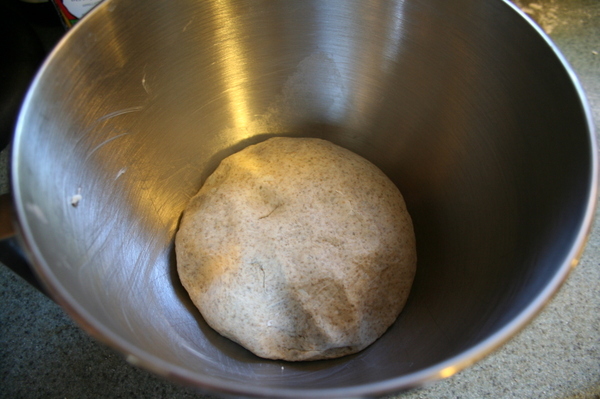 Transfer the dough to an oiled bowl and turn to coat. 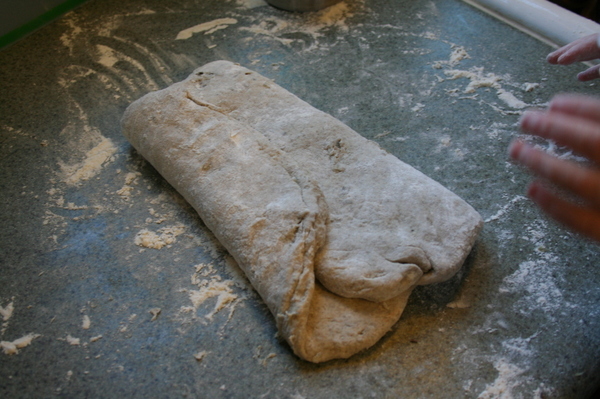 Cover and allow to rise until doubled in volume (45-60 minutes). 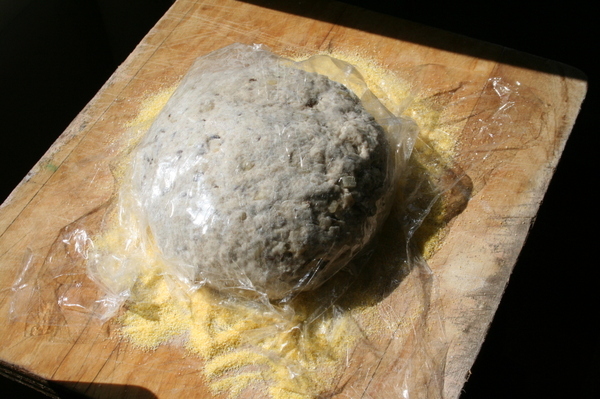 Punch down, shape into 1 or 2 rounds, and allow rest, covered, for 15 minutes.Knead in the reserved onion mixture. 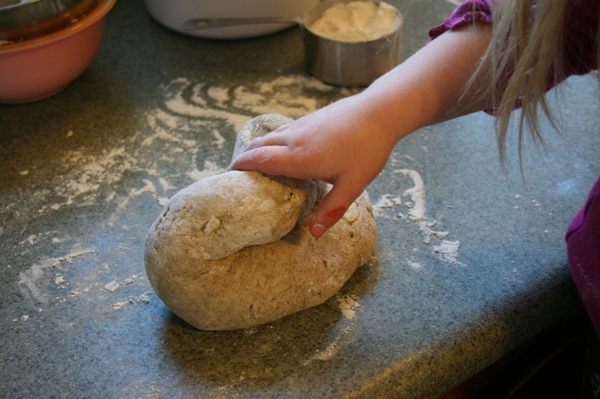 Shape into 1 or 2 round loaves. 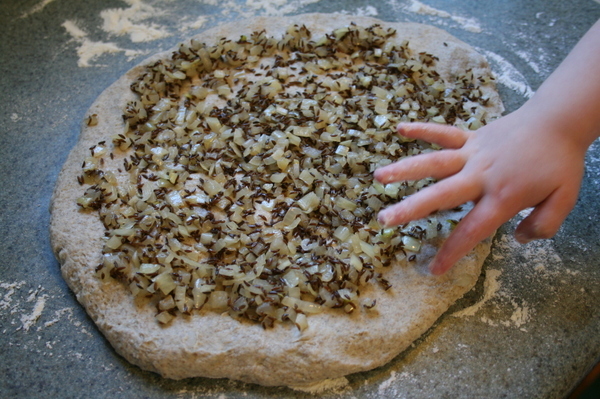 Place on a rye flour or cornmeal-dusted baking sheet. Proof until doubled in size. 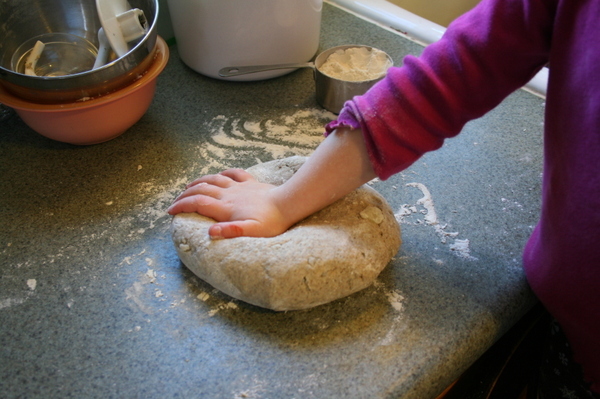 Dust the tops with additional all-purpose flour and cut decorative slashes. Bake with steam in a preheated 375 degree oven for 35-45 minutes. (For the steam, I just squirted water into the oven with a spray bottle. There are better methods, but I didn't use them this time.) If 1 large loaf is made, allow for additional oven time. The bread is done when tapping the bottom with your fingertips produces a hollow thump. Let cool on a wire rack. And here you can see that it rose to a majestic inch and a half in height. Actually, it sort of slumped down to that, because it was taller after the second rise. But we've already gone over all of that. And despite the obvious flaws, it still made some yummy sandwiches.